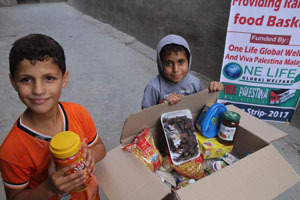 If you wish to contribute or pay your ZAKAT for the most deserving families in Palestine, this is your last chance to ensure your contributions will reach the recipients in this Ramadhan month. 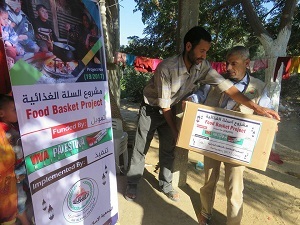 Zakat Al Fitra : 175 in Gaza Strip. 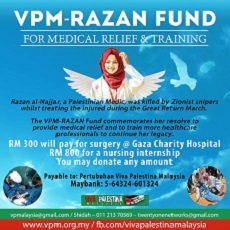 Contributions via Credit Card and PayPal, please visit our website: wwww.vpm.org.my. 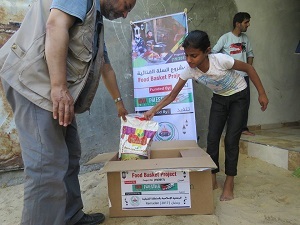 The absence of funds from the Middle East , esp Qatar, makes this a very tough Ramadan for the people of Gaza, half of whom suffer from food insecurity after 10 crippling years of the siege. 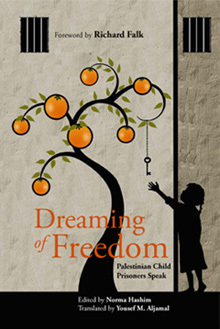 Added to this are the new restrictions on funds entering Gaza from other places. 1. 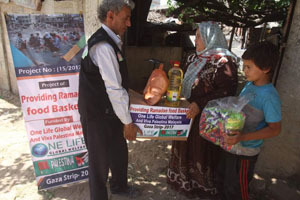 Over 1,000 food baskets for poor families all over Gaza, West Bank and PalestinianSyrian refugees in Turkey. 2. 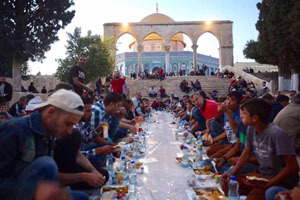 Iftar meals for 2,000 at AlAqsa . 3. 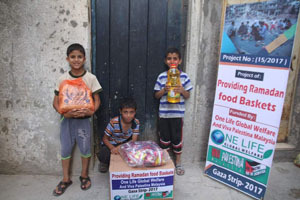 Small cash gifts of zakat to the needy in Gaza. 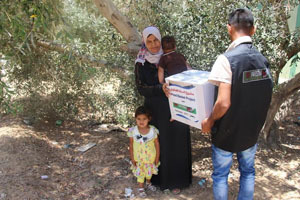 Qudsiya is a village of 4000 families about 20 km away from the capital city, the people who are staying there are originally from Alyarmuk camp. 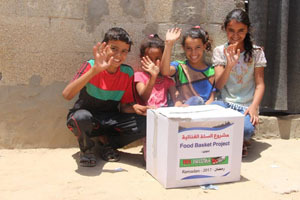 The residents suffered greatly during the food blockades of 2015 but the area is not under siege anymore. 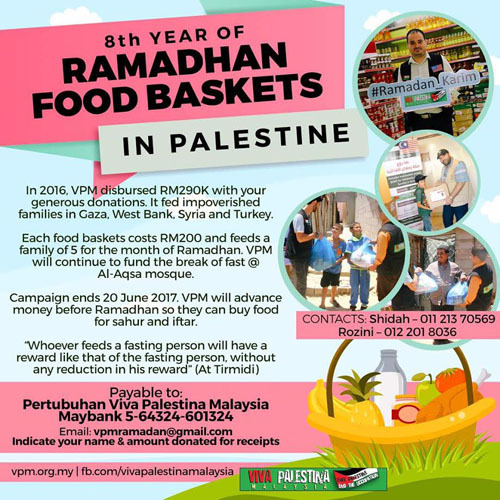 Viva Palestina Malaysia has distributed cans of milk alongside our medical weeks since 2015. 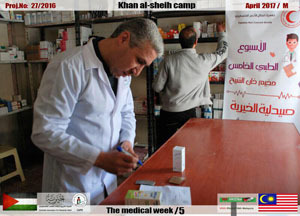 Malaysia sends medicines, not bombs! We got a message midJanuary about Khan el Shieh a refugee camp in Damascus area previously controlled by the rebel fighters and now under siege by the government. 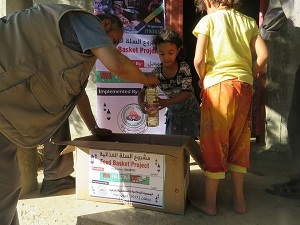 "The camp in very bad situation . 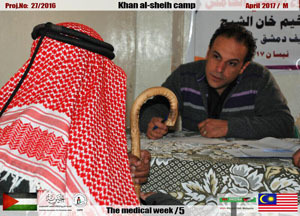 yesterday even they ask me if we can do medical week there , long long time no Doctors no medical aid"
On Saturday alhamdulillah we managed to start our medical week . 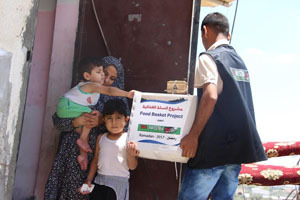 We treated 202 patients on the first day and 220 on the second day. 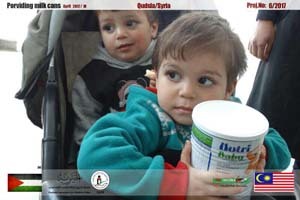 Crowds of people,and there were many children, came seeking help. 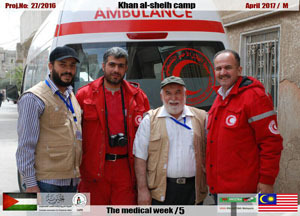 Please help us to continue these clinic weeks .